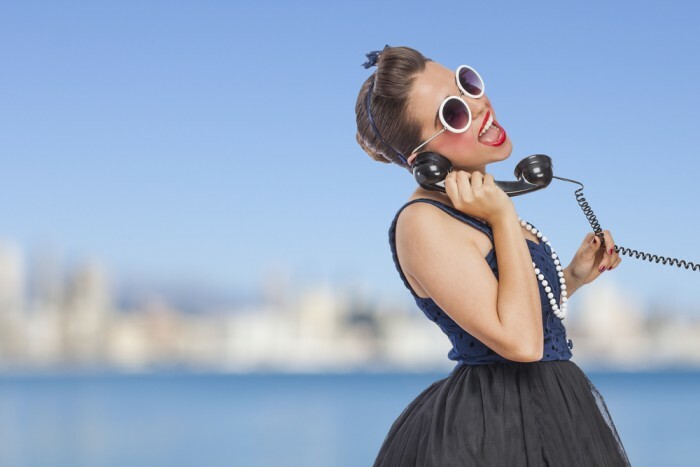 I’m a big believer in the power of social media for talent acquisition. Each month, I conduct a survey of the most successful recruiting content on the biggest social platforms. If you’d like to engage your ideal job-seekers, and create a buzz on social media, here are the latest best practices. Even a seemingly irrelevant and easily found answer — “How long ago was the Air Force established?” — got a response. Same with the question, “Why is the Air Force so cool?” The answer: “Because the Air Force is the only branch that is an accredited college, our quality of life is very high and we look good in our sharp uniforms.” That got eight likes. 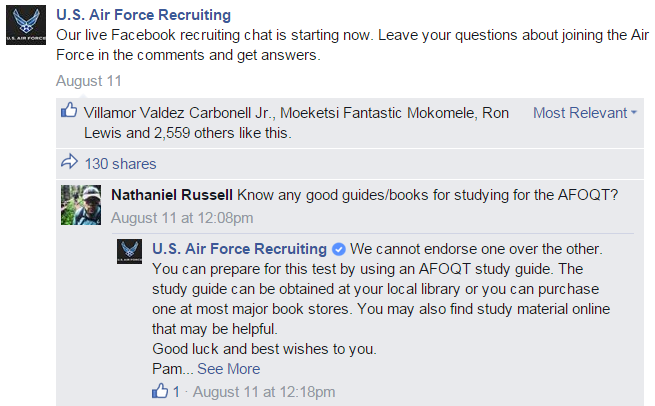 As is the USAF’s social media practice, every reply was signed by a recruiter. Remember, this entire conversation was held in public, on an open Facebook page. The American armed services are not without controversy, so the Air Force showed bravery, honesty, and transparency in conducting such a free, open recruiting event. The branch also displayed great candidate care in explaining the intricacies of testing, enlistment, and training. The results are sky-high: 130 shares, 187 comments, and more than 2,500 likes. A company’s social recruiting platforms should do more than just post job listings and answer job-seekers’ questions. They should be a resource for anyone looking for employment, even outside the company’s industry. 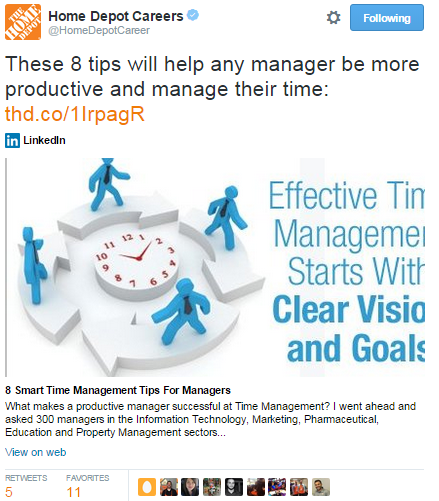 The Home Depot perfectly illustrates this philosophy with a recent tweet: “These 8 tips will help any manager be more productive and manage their time,” followed by a trackable link. No photo, no video, no hashtag. The tweet shows that the company cares about its workers’ career advancement — and acknowledges that it doesn’t have all the answers. This is the kind of content that attracts new followers. As I tell clients, you don’t have to create every post yourself; if something like this LinkedIn article is useful, you can and should share it with your followers. This tweet received five retweets and 11 favorites; the article itself has 597 likes and 57 comments. I’ve long been a fan of Amtrak’s social recruiting. The agency has managed to make a government job in a 19th-century technology fun, accessible, and attractive to a new generation. That leadership continues on YouTube, where Amtrak hosts 23 videos with more than 9,000 total views. That channel received an 18 percent bump in views this past week — bigger than any of the top 50 recruiting channels on YouTube — driven in large part by the video Amtrak Police Department Careers. The piece is a five-minute overview of four positions within Amtrak’s law-enforcement arm: patrol officer, special agent, K-9 officer, and communications officer. An actual employee describes each role. There’s not much else to it, but innovation isn’t the goal here. Amtrak simply wants to showcase one of its departments — one which many people, including me, don’t know even exists. I’m sure some job-seekers, considering the police or highway patrol, are now looking at Amtrak as a viable career for law enforcement. On top of that, the video is beautifully shot, with lovely music (which Amtrak credits in the video description), and captioned, which is a great way to reach out to a segment of the disabled audience. The best practices illustrated by the most popular social recruiting posts this week: The Air Force’s live Facebook chat showed both candor and candidate care. The Home Depot’s career advice from a third party showed generosity that helped job-seekers without directly benefiting the company. Amtrak’s straightforward video once again made the agency look cool by highlighting a vital but little-known department. 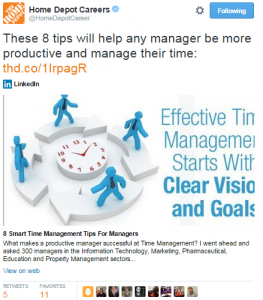 These lessons can be applied to social talent acquisition at any organization of any size.